Quickly browse Siesta Key condo communities below. Just click on a condo's photo or title to view the current condos for sale, and also learn more about that particular condo community. Vista Hermosa Condos For Sale | Siesta Key Fl. Maintenance Includes: Building Exterior, Cable, Community Pool, Escrow Reserves Fund, Flood Insurance, Ground Maintenance, Insurance Building, Maintenance/Repairs, Public Insurance, Recreational Facilities, Trash Removal, Water/Sewer. Twin Palms Condos For Sale | Siesta Key Fl. Maintenance Includes: Building Exterior, Insurance Building, Maintenance/Repairs, Trash Removal, Roof. Turtle Bay Condos For Sale | Siesta Key Fl. Amenities: Deeded beach access, lighted tennis courts, fishing pier, kayak access, heated pool and spa, boat slips available. Maintenance Includes: Building Exterior, Cable, Escrow Reserves Fund, Flood Insurance, Ground Maintenance, Internet, Manager, Pest Control, Private Road, Public Insurance, Recreational Facilities, Roof, Security, Trash Removal, Water/Sewer. 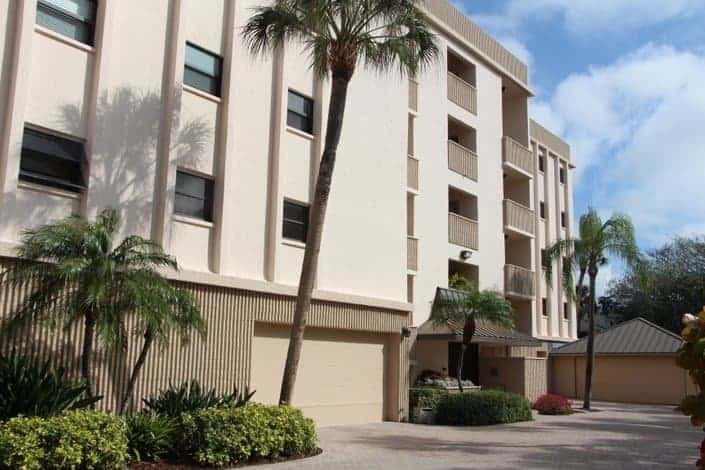 Sunset Royale Condos For Sale | Siesta Key Fl. Amenities: On-site rental office, BBQ, picnic tables, Gulf views. Maintenance Includes: Building Exterior, Cable, Escrow Reserves Fund, Flood Insurance, Ground Maintenance, Maintenance/Repairs, Manager, Pest Control, Public Insurance, Roof, Trash Removal, Water/Sewer.